Long before I knew anything about A/C. When I was about sixteen or seventeen years old my family took a trip from Florida to Virginia. 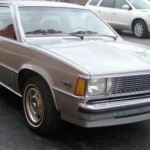 We drove my mother’s fairly new (at the time) 1980 Chevrolet Citation. It was actually considered an 80 and 1/2 because it came out so late in the year. Dad had purchased it because it was… well – cheap. 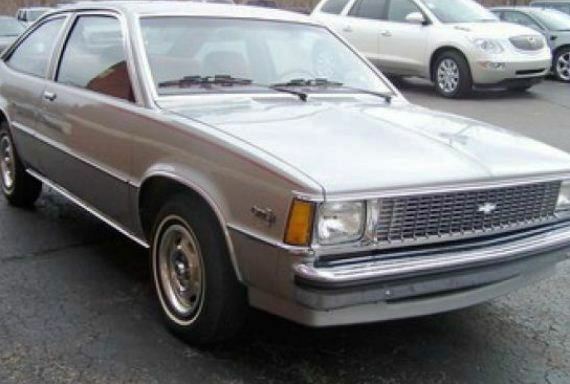 It was one of Chevrolet’s first FWD (Front Wheel Drive) cars. It had a manual transmission and no air conditioning. Living in Florida, Dad soon realized Mom would benefit from having an aftermarket AC system installed. The AC worked great on the short trips Mom took to the store and to work. But, when we left for the 1,000 mile trip to see my relatives it was a different story. The air would blow very cold for a few minutes, Then it would blow regular non-cooled air. If we turned the AC off for a few minutes it would again blow ice cubes out of the vents for a few minutes. We stopped several times to have the AC looked at. The service stations ALL did the same thing. An evacuate and recharge. Meaning they would take the refrigerant out, pull the system down into a vacuum and recharge or fill the system back up. The AC would cool great. Dad would pay and we would get back on the road with hopes that this time it would be fixed. It never was! Why “evacuate and recharge” for this problem? I didn’t understand why an evacuate and recharge might fix the AC. Now I do. If there is moisture inside the AC system it can freeze when the temperature gets low enough. 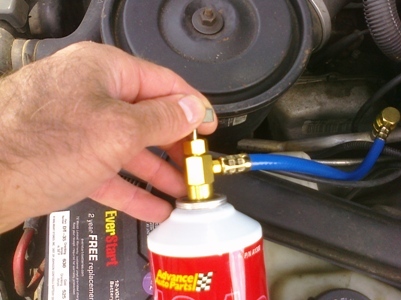 Refrigerant has a much colder freezing point when compared to water/moisture. If the evaporator freezes up, the water that’s normally on the outside of the evaporator will freeze. The sheet of ice that forms will prevent air flow or at least reduces it. Without air flowing through the evaporator fins, the heat/cool exchange cannot take place. That was the reasoning for the service stations doing an evacuate and recharge on my Mother’s Chevy Citation. 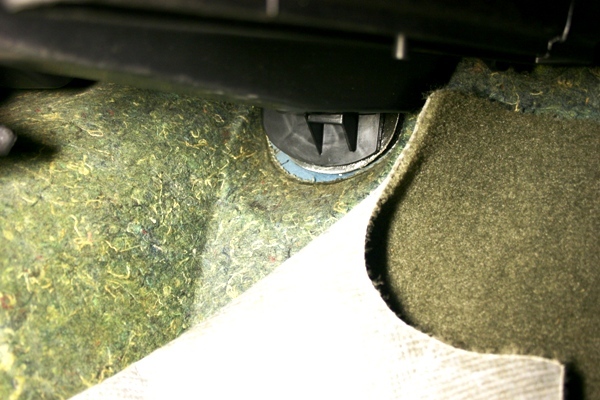 When the system is being held in a state of vacuum, the moisture is removed. The boiling point under vacuum is at a much lower temp, allowing the moisture to boil off and be sucked out of the system. Therefore, if the freezing up of the evaporator is caused by moisture in the system, an evacuate and recharge may fix the problem. Keep in mind that there is also desiccant in the dryer that also absorbs moisture from the system. If dryer is more than a few years old or the system has been “opened” theoretically the drier should be changed because the desiccant may be saturated with moisture and no longer able to remove moisture from the system. What about a bad expansion valve? Since the Evacuate and Recharge NEVER fixed the problem we had in the Chevrolet, the most likely cause of the problem was a bad expansion valve. Since it was an aftermarket AC system, the expansion valve may have have even had it’s probe incorrectly positioned. In either case the expansion valve allowed the low side pressure to get too low. 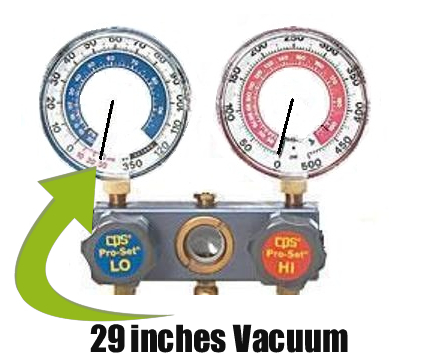 Lower refrigerant pressures equals colder temperatures. If the expansion valve allowed the evaporator to get too cold the condensation on the outside of the evaporator can freeze up, forming a sheet of ice and stop proper airflow through the evaporator coils and fins. That’s why turning the AC off for a few minutes would help return things to normal temporarily. Allowing the ice to melt would remove the air blockage until the system ran long enough to freeze the water on the evaporator again which would repeat the problem all over again. Most expansion valves today have no external probe and no adjustment. So if this problem occurs it’s most likely a faulty expansion valve. Compressor not engaging? The AC compressor’s electromagnetic coil for the clutch could be going bad. The AC compressor is engaged (turned on) by a clutch. 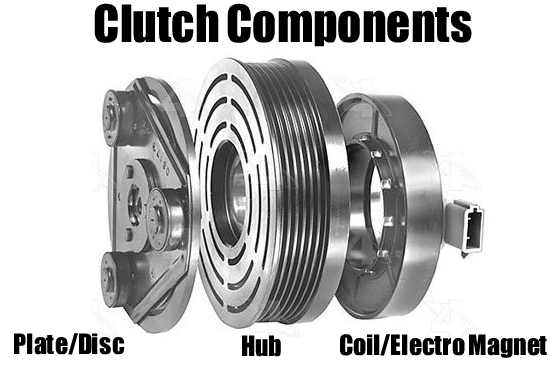 The clutch consists of a plate, a hub and a coil. 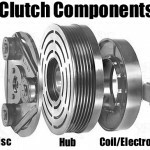 If the coil becomes weak, it may not have enough power from the electro-magnet to pull the clutch plate into the hub. Another possibility is that the air gap between the plate and the hub has increased too much due to wear. If the gap is too big the magnet will not be capable of pulling the plate, engaging it with the hub. If the plate and hub are not worn too badly, sometimes just the gap can be reduced by using a smaller shim (looks like a washer). A bad coil can sometimes be detected by checking to see if the clutch plate is engaged when the AC problem is occurring. If the plate (disc) is not turning it’s NOT engaged. If power and ground are supplied to the coil (and it’s not engaged and turning) the coil most likely is weak or has an open circuit within. No power at the coil? No power at the coil could mean anything between the switch and coil could have a problem. I’ve seen broken wires, bad control modules, faulty switches, relays etc. 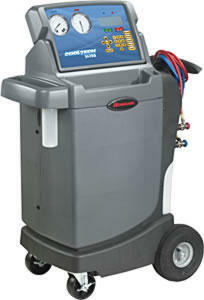 This diagnosis most likely means an auto repair manual is required with wiring diagrams and system component locators. That is unless you get lucky and find a wire that is damaged by doing a visual inspection. Got a problem, maybe you could weigh in. According to a shop I trust, excessive gap is causing intermittent cooling. The clutch plate is stuck, won’t come off, so the mechanic can’t get to the shims. WD40 didn’t budge it, PB Blaster is being tried. If it doesn’t come off, rather than springing for a new compressor, the idea of a relay to run 12v directly has been floated. Will this work? any downsides? Thanks! Andy, with the correct puller, the clutch disc should come off. As far as the “jumping the relay” idea goes, I don’t see that helping a bit. The problem is not getting power to the coil (also called an electromagnet). The problem is too large of an air gap. Jumping the relay will do nothing about the air gap. Good Luck. Thanks for the speedy reply Dennis. I hear you on the air gap. I’ve hesitated to question the mechanics about their tools, but what the hey. Can you lead me to a site about the proper puller? Andy, we (DenLorsTools.com) have a couple of different AC clutch puller kits. The FJC 7500 and the AP 7886. Good Luck. Recently my heater control valve had a leak & it leaked on two of my ignition coils so I replaced all three things, also there was a plastic like hose right under the control valve but above the coils that the rubber pieces had worn out cracked & fell of, so I replaced those too, then unhooked my car battery to reset my check engine light cuz it was on. 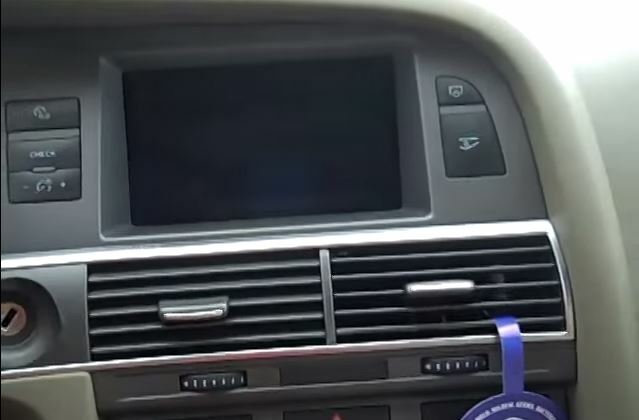 Car started running better the light hasn’t come back on but now my AC isn’t working right. I turn it on it blows cold & hard then it just stops blowing, the front AC only, the back keeps blowing fine then the front kicks on again then off again. What could this be? Did something I do affect it? Please help if can. Rich, not related. Sounds like the front blower motor is starting to fail. Tap on the motor and/or wiggle the wires going to it, the next time it stops. If it starts working it’s most likely the motor or the pigtail connection. Good Luck. I have a 2001 Ford Ranger. 2.5 My air conditioner is full of Freon but it only blows hot air. Would this be a vacuum leak. I had a new compressor put on it, and it worked, then it did not work, did nothing to it, got in and it worked again, now it’s not working. Any help would be wonderful!! Thank you!! Bronco, sorry not enough information. I would check to see if the clutch is engaged when it’s not working. Could be a cycling switch or clutch coil failing. Good Luck.